Added a Yaesu FT-450D to the station and wanted to get it up on digital modes. So leveraging what I had learned in my earlier posting on USB Sound cards. I gathered up parts to build a cable to connect a USB sound card to the 6 pin mini din socket on the rear of the radio. The wiring is very simple with only three wires, audio in, audio out and a ground needed. I used a couple of 3.5mm stereo plugs I had bought on eBay and wallah a dedicated digital interface for less than $30 and $20 of that was the USB Sound card dongle. And as a I have a serial cable for normal CAT control I did not need to mess with the PTT line as I will use CAT commands to key the transmitter. If you need a USB to serial cable I would recommend the Gearmo FTDI2-LED USB RS-232 Serial Adapter with LED Indicators Windows 10, 8, 7, Vista, XP, 2000 Support the LED’s are a great aid. As the gender of the USB to Serial cable is male, a straight DB9 to DB9 serial cable will also be needed. 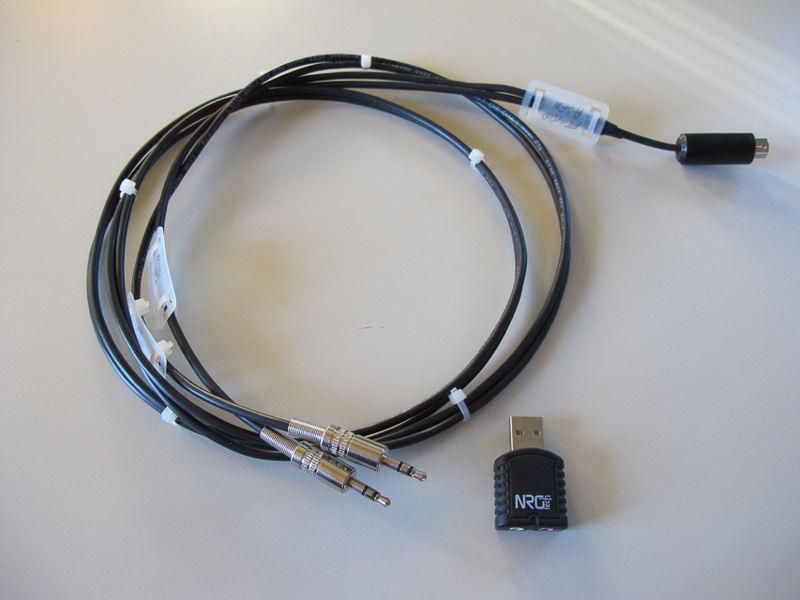 I have been using the StarTech 6-Feet Straight Through Serial Cable – DB9 F/F (MXT100FF) . The devices which I have an have reviewed here on the site work fine under windows 10. When selecting an external sound card from your source of choice (ebay, Amazon, etc) just check if Windows 10 is not supported. My problem. My laptop does not have a in put , only out put . What do I need ? I have a 6 pin cable to connect to my Yeasu 450 d but I still can’t interface with my dell laptop. Simple solution use an external USB sound card, this is actually the preferred solution as it will allow you to separate normal PC sound card use from your had stuff. I have a separate blog post on external sound cards a very effective and low cost solution. Jay, I’d like to build one of these DIY FT-450 digital interface cables. Not sure which pins of the DIN connector go where, especially when you consider 3P stereo plugs at the sound card end. A wiring diagram, even a crude sketch, would be appreciated. You can post or email to me. Sure thing crude drawing posted. I am using 3.5mm plugs on mine as I can get them very cheaply from Ebay. 2. how would i go about doing the pot could you give me an example and how are you doing it over the cat control. The internal sound card can be used, be careful to disable all operating system sounds. In Windows this is rather straightforward setting the sound profile to none. In Ham radio deluxe, WSJT-X, Fldigi and others PTT via CAT is an option best to refer to the documentation specific to package you are using. Hello once again what do i do with the ring on data on if i want to use stero. I am not following your question, please restate. On the data in line do you connect the ring or not and if you do connect the ring what wire do you connect it to? Tip and shield, ring is not used. Sorry for the delay, just the tip and shield are used. Does this simple cable take the place of a Signalink USB? I’m trying to install Fldigi on a Raspberry Pi but don’t know how to interface if with my 450D. 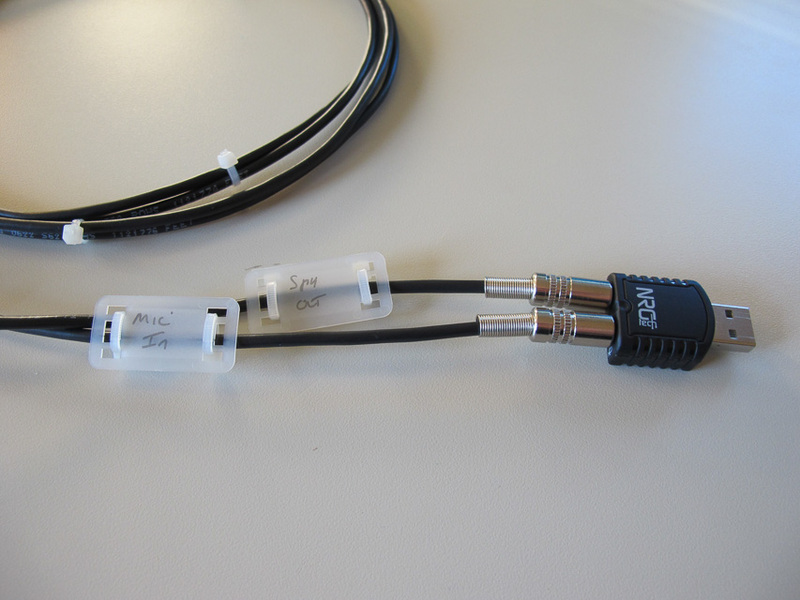 The cable in conjunction with a USB sound card provides the audio interface portion of what a signalink does. I use a 450D for portable operation running Fldigi and other apps using this setup. You will also need a USB to serial cable for the radio’s CAT port. Easy to do on a windows box, should not be too hard on a Pi, if you have the cables and a USB hub for fan out. I have a Pi and can give it a go are you using Raspbian? Yes, it has Raspbian. I’m very new to Pi and Linux. I bought the Pi for my daughter’s science class but she never used it. I downloaded an install script from Indyham to get Fldigi on the Pi but a bad URL stopped the script. I e-mailed the author and he has resolved the script issue to I’ll give it another go tomorrow. Is there some kind of special setting required on the FT-450D to make this work? I tried to follow your diagram above, and think I wired it up properly, but I get no audio from the radio. If I recall correctly the radio has to be in a “Data” mode such as Data USB. If I have time this evening I will test. I hooked up the laptop this morning and confirmed that the having the radio in “data mode” is not needed to receive audio from the radio.The level out of the radio is not line level it is much lower. Will need to use the microphone input of you sound card. Jay, due to some medical issues, I was unable to begin the wiring of this home brew interface for my FT-450D until today. Found some cat5 cable in the big storage shed and now looking at the diagram above, I have one question. Is the drawing shown from the radio side or the solder side. I am thinking solder side but not sure. Jay, I finally got around to wiring my FT-450D for the digital interface. First time out of the box, it worked flawlessly. Thanks for what you do. I am having a lot of hair pulling trying to set up my FT-450D with my SignaLink Interface to work JT65 and FT8 modes. I keep getting Rig failure and can’t for the life of me figure it out. 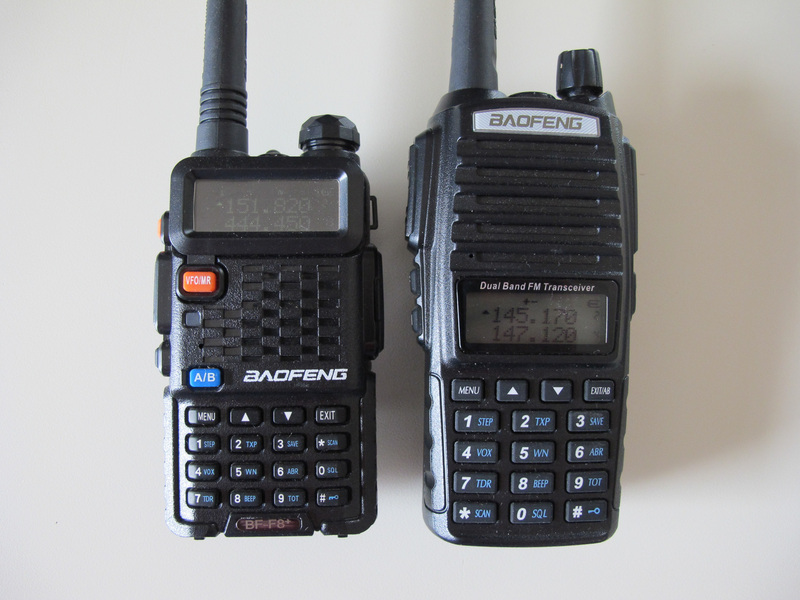 If someone can send me the WSJT-X config settings and also the required menu changes in the FT-450D I would really appreciate the help. Thanking everyone in advance for your expertise. Using Windows 10. Does it fail during operation or are you having trouble with the initial setup? Document your current config for us. Cable setup, does the PC have a serial port or are you using a USB to serial adapter? Take a look at the following post. When I get back from church will give you my present setup for your review and suggestions. I am using a HP Laptop with Windows 10 software. From the Data Port on the back of the radio I go to the Signalink, then from the Signalink using USB cable to my computer. Mode on radio is set to USB Data. I am using WSJT-X version 1.8-rc2. Rig Failure – Hamlib error: IO error while opening connection to rig. I can receive a little but the program doesn’t maintain my settings when I turn the program off. Any suggestions on what to change will be greatly appreciated. Do you have a serial cable connection between the CAT port on the back of the 450D to your PC? If not you will need one as the Signal link does not provide this connection it is just and external USB sound card. I have no connection from the Cat Jack on the radio to my laptop. All I have is the Signalink going to the computer. So are you saying I need both a connection from the Cat Jack to my computer and also the Signalink connection? Or is the Signalink even needed? Sorry this is all new to me, I have been mainly a cw brass pounder for years. The missing cable is the root cause of the error you are experiencing. 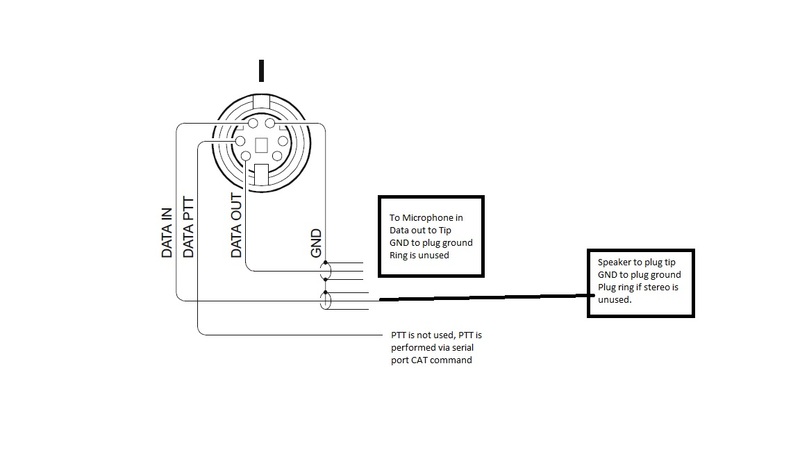 It is indicating a failure while attempting to connect to the radio over the CAT port. From the Signalink manual (page 5) you should be able to operate without a CAT connection. You will need to manually change frequency on the radio, and on WSJT-X to keep everything in sync for logging and spot reporting as you change bands. I would recommend having a serial connection. 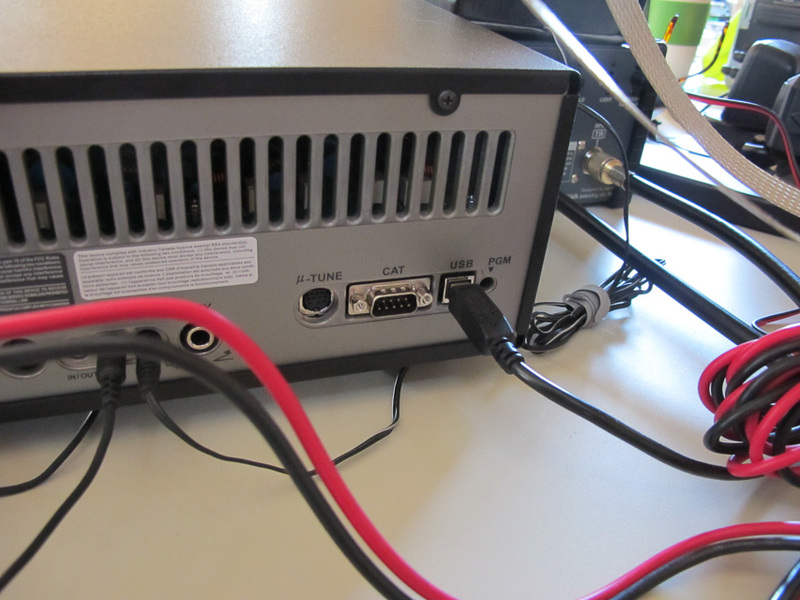 Regarding the serial cable, I have no RS-232C com Port on my laptop, only USB Ports. Do I need some sort of an adapter for the laptop? Can I delete the Signalink Interface and just use the serial cable from the Cat Jack to my laptop and have Rig control and receive and transmit capability? Modes like FT8 are sound-card modes and require a sound-card to get sound to and from the radio so don’t get rid of the SignalLink. Ok Jay I just ordered both the Startech cable and the Gearmo adapter. Once I receive them from Amazon will contact if I have additional questions. I received the cables today. Regarding the Gearmo FTDI2 is it necessary to load the disk that came with the cable onto my laptop? John should be plug and play on Windows 10. I am just getting started with digimodes and see a lot of information about interfaces. One topic I do not see discussed (sorry if I missed it) is about sound isolation. Is it necessary with this configuration? Just curious. Thanks for doing what you do. Well, I just couldn’t make one so I got one from a guy in Greece for $27 including shipping. Works awesome. He direct connects to a USB sound card and it’s a done deal. Been making tons of contacts since I got it. Thanks for the info though. I wouldn’t have considered this simplified approach if it were not for you. 73! It’s all hooked up correctly. I’ve recently changed from a rs232 to serial that used 2 different cables to make the connection to the gearmo cable. Since that change, my mic input is apparently to low to decode. Waterfall falls, I can physically hear the Psk31, jt9, jt65 and FT8 warble and tones but my computer isn’t. I’ve checked levels, tried at 100 and down to 20. I’ve deleted the Signilink, usbcodecs etc. And restarted multiple times. Nothing is working and it was before the cable change… I threw the old cables away accidentally, on trash day nonetheless. So those aren’t an option anymore. Cat control works and so does ptt in wsjtx and FLDigi, the computer just can’t hear. To clarify you are using a Signalink? I would check your audio cables, specifically ground as your change in serial cabling may have affected the ground path. If you have an Oscilloscope or A/C volt meter check the audio level out of the data port on the radio. It is not adjustable in the radio settings. Yes, signal link. It’s the gearmo cable and has the little lights. The ground light is lit. The gearmo needed an adapter to plug in the radio, so the screws to keep it plugged in are not there. I had to remove them to get everything tight. Oh, and by lit, I mean yellow not green. Have you checked the levels in the audio device (mic and speaker) properties in windows. Are you using purchased Signalink cables? I would focus on the radio to signalink cable and the device settings in windows. I do not use a Signalink so not a lot of experience. Perhaps a Signalink forum would be a better. Ive been over the settings a dozen times. But I think you are right about it being a settings issue. But I can’t just sort it out. It was working 5 days ago, and then just quit. I’ve even rolled back to a day prior all the issues. Who knows. I appreciate the help. I am not familiar if Yaesu offers a solution, I chose to build my own which is the subject of the article. Checking the Signalink website they offer free telephone support that might be your best next step. What sort of wire is this? I tried CAT5 cabling and only soldered up what I needed but I believe there’s too much loss. I used a two conductor shielded audio cable I had on hand, I recommend to most folks to use a audio patch cable with 3.5mm mail connectors of both ends. Cut it in half and you have your two cables with factor made ends. Solder up to the the mini din plug and you are good to go. I believe I can pick that up and give it a whirl. Thanks!